Many filmmakers of the comedy “Italian style” genre (commedia all’italiana)have acknowledged Italian neorealism as a source of inspiration for their practice of pursuing social criticism in realistic and satirical comedies produced in the years between 1958 and 1977. 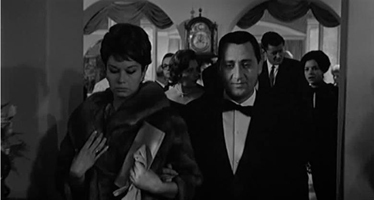 For instance, comedy “Italian style”star Alberto Sordi said that of those involved in the genre that “our project was to reinvent neorealism and to take it in a satirical direction” (Giacovelli, Un italiano 110), while director Marco Ferreri stated that “the commedia is neorealism revisited and modified in order to make people go to the movies” (Giacovelli, Commedia 21). The continuity between these two cinematic forms is undeniable as both major and lesser neorealist filmmakers, including Vittorio De Sica, Sergio Amidei and Luigi Zampa, among others, went on to produce comedies “Italian style” in the 1960s and 1970s. Such continuity can be seen first of all in a heightened versatility of tone in both cinematic forms featured, from the purely comedic to the openly tragic. Peter Bondanella, for instance, regards the coexistence of comedic and melodramatic scenes in Roberto Rossellini’s Rome Open City (Roma città aperta, 1945) as the result of the creative inputs of screenwriters Federico Fellini and Sergio Amidei, whose backgrounds in the cinema of the Fascist period were quite divergent (“The Making of Roma”63-64). Comedic aspects also come to the fore in De Sica’s Bicycle Thieves (Ladri di biciclette,1948) and the neorealist output of Luigi Zampa, particularly in films such as To Live in Peace (Vivere in pace, 1946) and Angelina (L’Onorevole Angelina, 1947), and are characterised by a consistent deployment of humour in the depiction of the Resistance and the post-war period. On the other hand, the narratives of many Comedies “Italian style”, by the typical standards of comedic genres,display an unusual frequency of tragic events. Recent critical re-evaluations of the neorealist canon converge on the notion that this mode of production’s own continuity with the cinema of the Fascist period has been underestimated and highlight, to use Sidney Gottlieb’s words, the “incorporation and transformation” (40-41) of elements of conventionality within neorealist texts. Therefore, when assessing the relationship between neorealismand the comedy “Italian style”, one should also consider the role played by a group of comedic films produced during the Fascist ventennio in informing the post-war neorealist output. The trilogy of dialectal comedies written by Federico Fellini, set in Rome and featuring Aldo Fabrizi—namely, Mario Bonnard’s Before the Postman (Avanti c’è posto, 1942) and The Peddler and the Lady (Campo de’ Fiori, 1943) and Mario Mattoli’s The Last Wagon (L’ultima carrozzella, 1943)—are obvious examples of how certain attributes we tend to associate with neorealism, such as the use of regional varieties of the Italian language and the focus on lower-class characters, were first introduced in comedies. De Sica’s own experience as a comedic actor in 1930s films directed by Mario Camerini, such as What Scoundrels Men Are! (Gli uomini che mascalzoni!, 1932) and I'll Give a Million (Darò un milione,1937), have also been considered a major influence on his output as a director in the post-war period (Celli). The structural unconventionality of some of the best Italian comedies of the 1960s, then, such as Dino Risi’s The Easy Life (Il sorpasso, 1962) or Antonio Pietrangeli’s The Visitor (La visita, 1963), reflect the legacy of “open” and unresolved narratives of the neorealist canon. The privileging of satirical humour (that is, the production of humour by the description of grotesque and cynical social behaviours rather than through slapstick and physical gags) in the depiction of the consumerist society of the Economic Miracle by the comedy “Italian style” is also, arguably, an indication of a neorealist-inspired intent. In contrast, other comedic forms of the time, such as pink neorealismand farsa (farce), were characterised by an escapist approach and a clichéd outlook on contemporary social reality. 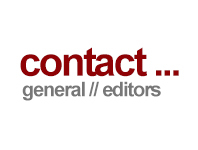 Some negative critical responses of comedy “Italian style”, published contemporaneously, did not acknowledge the continuity between neorealismand this genre or, if they did, conceived of it in a derogatory way. I will show how these responses inspired the production of a series of films set in the past within a genre that was mostly concerned with the description of the present in order to highlight the underestimated neorealist roots of the comedy “Italian style”. Filmmakers who were identified with post-war neorealism,such as De Sica, Cesare Zavattini, Amidei and Pietro Germi, were still critically revered for their 1940s output, even though their embracing of comedy was criticised; however, the neorealist-informed practice of the comedy “Italian style” directors of the 1960s and 1970s who had not been directly involved in neorealism or had been associated with pink neorealism (these included Dino Risi, Mario Monicelli, Luigi Comencini and Ettore Scola), was not duly recognised and appreciated. I shall discuss the ways in which these filmmakers referred to Italy’s recent history to highlight their neorealist roots by focusing on two comedies that revisited the period of the Resistance—and therefore directly addressed neorealism—and that operate as “bookends” of the genre’s focus on the past: Dino Risi’s A Difficult Life (Una vita difficile, 1961) and Ettore Scola’s We All Loved Each Other So Much (C’eravamo tanto amati, 1974). Most critics in the 1960s accused the filmmakers of the comedy “Italian style” of continuing the dilution of neorealist engagement initiated by pink neorealism, a genre which tended to employ simple and clichéd depictions of the habits of the average Italian of the Economic Miracle period. In fact, the comedy “Italian style”films were originally addressed in critical reviews as commedie di costume, meaning “comedies of manners”. This “sin of dilution” was amplified by the presence of beloved performers such as Alberto Sordi, Vittorio Gassman and Ugo Tognazzi in the roles of cynical, opportunistic and cowardly characters and by the fact that these films were immensely popular, which—in their detractors’ view—was an indication that these comedies could have been seen to promote such behaviours while attempting to satirise them. For instance, in his review of It’s a Hard Life (La vita agra)in Cinema Nuovo, Adelio Ferrero argued that director Carlo Lizzani’s choice of Tognazzi in the role of the protagonist “diminishes any possibility of critical relation between character and audience to one of condescending complicity” (58).As Mariapia Comand has noted, the view that the polarity of the comedy “Italian style” represents a viewpoint on the cynical lifestyle of the Economic Miracle, either criticising it by virtue of its style of presentation or indeed celebrating it by making a kind of spectacle of it, “is ever-recurring in criticism and historiography, a fixation that polarised the discourse on the comedy “Italian style”, reducing it to a binary dialectic” (20). Detractors, however, did not pay attention to elements such as the failure of protagonists to fulfil their initial goals and the recurring presence of tragic tones in a comedic context, which, inherited from neorealism, characterised the narrative patterns of such comedies and determined the uniqueness of this type of genre within the spectrum of Italian film comedy as a whole. If the filmmakers of the comedy “Italian style” were running the risk of somehow promoting an opportunistic lifestyle—and it is doubtful that they were, since ultimately their characters were hapless and laughable—the fact that the majority of the films ended in the failure of schemes such as murdering one’s wife to avoid bankruptcy, as in Dino Risi’s The Widower (Il vedovo,1959), or planning a robbery, as in Mario Monicelli’s Big Deal on Madonna Street (I soliti ignoti,1958), neutralised any such risk. Moreover, the frequent inclusion of abrupt deaths as in The Easy Life or even suicide, as in Antonio Pietrangeli’s I Knew Her Well (Io la conoscevo bene,1965) in their explorations of the “carefree” lifestyle of the Economic Miracle, proves that they were doing everything they could in order to ensure that their satirical characters would not be construed as role models. As Lino Micciché has noted, indeed, the comedy “Italian style”was characterised by a moralising aspect in the articulation of its tragic endings, thus mirroring the strategies of the cautionary tale (“Mario Monicelli” xii). In terms of the rhetorical use of narrative, the Italian-style-comedyfilmmakers were ultimately replicating what had been done by the Neorealists, whom they were accused of betraying. However, the contemporary subject matter had changed, and the effects of war and unemployment had disappeared from the landscape, in which cars and endless rows of modern buildings now advertised Italy’s transformation into a consumerist society. Thus, a similarly realistic perspective employed fifteen years later generated a very different type of film. Because of a widespread underestimation of the popular, and an uncritical assumption that films with a popularaudience must necessarily have a populistpoint of view, Italian critics devoted their attention to the art film of the period, discussing how neorealist practice informed responses to Italy’s rapid transformation into a consumerist society in 1960s films by Fellini, Visconti, Antonioni and Pasolini. The critics focussed on the often allegorical discourses concerning the socio-political and cultural junctures that characterised, if not determined, the outcome of the economic transition that were featured in these art films; in doing so, they disregarded the comedy “Italian style” , in which such discourses were carried out as explicitly as the neorealist discourses of the 1940s concerning life in post-war Italy. This point of view still persists to some extent today in critical discourses on the Italian cinema of the period. Angelo Restivo’s The Cinema of Economic Miracles: Visuality and Modernization in the Italian Art Film, for instance, only analyses one comedy “Italian style”—despite the fact that this genre is the primary site of cinematic representation of the Miracle—on the premise that “[t]he Italian art film of the sixties differentiates itself from the ‘low art’ insofar as it self-consciously addresses itself to a national cinematic tradition: the tradition of neorealism, so crucial to the process of national reconstruction after the war” (9 emphasis added). An analysis of the differences between strategies adopted in comedies set in the present and comedies set in the past will exemplify the genre’s self-conscious treatment of the country’s recent history. Leaving aside the ideological discourse that was attached to neorealism up to the 1960s by periodicals such as Cinema Nuovo and considering how the canonical neorealist films function in reference to the social context they represent on screen, we note two tendencies. On one side, the films which describe the Italian Resistance movement of the Second World War, such as Rossellini’s Rome Open City and Paisan (Paisà, 1946), offer us a somewhat mythical version of it; in other words, they rhetorically manipulate the events by showing us a phenomenon in which almost all of the Italians are united. The struggle between Catholics and Communists within the partisan ranks is set aside in the name of the two factions’ common goal, and Italian Fascists are barely seen. As David Bruni has written with reference to Rome Open City, Rossellini here “privileges only one of the possible readings of the Resistance” by reducing it to “its ethical motivation, thus ignoring the complexity of positions existing within the coalition of those who opposed the Nazi-Fascist dictatorship” (136-137). David Forgacs agrees with this view and points out that Rossellini’s film “involves the working up of certain pieces of raw material into a selective myth or legend to the exclusion of other memories: those, notably, of political divisions among Italians, guilt over non-resistance, cowardice or collusion” (109). In contrast, neorealist films with a contemporary setting, depicting the unemployment of the post-war years, generally tend to illustrate a situation and not offer a solution; in other words, they do not rhetorically manipulate the social context with a propagandist approach. For instance, one of the many merits attributed by André Bazin to Bicycle Thieves was specifically that it avoided a propagandistic perspective, he argued that “the film never makes the events or the people part of an economic or political Manicheism” (51). Much later, in 1982, Frank P. Tomasulo made the point that in this film “the contradictions show, but are not resolved within the text, so no perspective for struggle is offered” (4). Whereas Tomasulo argued that this lack of “perspective” represents a shortcoming of the film, one closer to Bazin’s position might respond that it is exactly in this narrative “openness”, meaning the tendency of not suggesting political solutions to the struggles that the characters face, that one can detect the evidence of the film’s realism.This attitude characterises most of the best neorealist efforts up until Visconti’s explicitly Gramscian reading of the Risorgimento, Italy’s process of unification, in Senso (1954). In fact, most neorealist efforts could be and, indeed, have been read from both Leftist and Christian points of view and have thus dissatisfied militant critics on both sides. Despite their general tonal disparity, determined by the change in subject matter, both cinematic forms avoided using narrative as a rhetorical instrument to offer a “resolution” or a specific “perspective for struggle” in their films with a contemporary setting (Tomasulo 4). This is what the detractors of the genre have failed to notice, as their conception of neorealism was overly ideological, depending more on their own beliefs than on how neorealist films actually functioned. 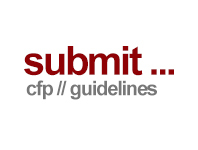 We can confront recent reassessments of neorealism, such as Marcia Landy’s essay on Rome Open City and its “shattering of clichés by means of cliché” (88), with the notion that the comedy “Italian style” differs from other Italian comedic forms of the time and their straightforward clichéd and stereotypical depiction of Italians because, as Mariapia Comand noted, the comedy “Italian style” “in an ambivalent way works with the stereotype and also against it” (41). From this, we can deduce that the representational strategies of the two cinematic forms feature striking similarities. This is particularly evident if we compare the comedies with a contemporary setting with the ones set in Italy’s recent history, which have a less cynical tone and show a progressive understanding on the part of the filmmakers of how the genre has been underestimated, as well as displaying a continuous effort to refer to the Resistance in order to rehabilitate the genre’s reputation. A peculiarity of the comedies set in the past is that they often feature redemptive narratives, something that is quite common in all genre films—Italian or not—but very rare in the comedy “Italian style” films. In fact, these are generally populated by characters who do not learn lessons and do not change for the better, this being a structural heritage of neorealism, in which quite often “characters are incapable of actively altering the events” (Landy 89). However, if we think of the first two films of the genre that are set in the past, Mario Monicelli’s The Great War (La grande Guerra, 1959), which revisits World War I, and Luigi Comencini’s Everybody Go Home (Tutti a casa, 1960), which recounts the armistice of 8 September 1943 between Italy and the Allies and the beginning of the partisan struggle, we note that both conclude with their protagonists, the vile, lazy, opportunistic characters played by Alberto Sordi and Vittorio Gassman, unexpectedly turning from cowards into heroes at the very end of each film. This is an indication that the cynicism that defines the Economic-Miracle comedies is a result of their setting, since it is reversed in comedies set in a different period. Moreover, the fact that the last scene of Monicelli’s The Great War essentially replicates the ending of the Sicilian episode in Rossellini’s Paisan suggests that this exceptional narrative solution is marked by an attempt to openly align the underestimated Italian comedy with post-war neorealism, which had by then accrued much critical acclaim. In Paisan, a Sicilian girl (Carmela Sazio) is killed by the Germans, but her corpse is not seen by a group of American soldiers who assume she is responsible for the death of their comrade, while in Monicelli’s comedy the cowardly soldiers, played by Sordi and Gassman, are executed by the Austrians for not revealing the positioning of a strategic bridge, but their corpses are not noticed by the Italian sergeants who attack the Austrians’ quarters and assume that the two are once again in hiding during combat. These early Comedies “Italian style” set in Italy’s recent history mirror the mythical perspective of neorealist films depicting the Resistance and subvert the topoi of “cowardice” and “collusion”, these being memories excluded in Rossellini’s account of the Resistance, as pointed out by David Forgacs, but also, appropriately, established clichés of the representation of the Economic Miracle by the comedy “Italian style” (109). This suggestion is confirmed by the fact that very soon the Italian-style-comedyfilmmakers were not only making films that were set in the past, but that bridged that past (and the connotations it implied) with the context of the contemporary Economic Miracle, which continued to comprise the subject matter of the majority of the films produced within the genre. Such bridging of past and present can be seen, for instance, in Dino Risi’s A Difficult Life, its narrative covering the period between the Resistance (1944) and the Economic Miracle (1961, also the year in which the film was made). The film’s protagonist, Silvio Magnozzi (Alberto Sordi), starts out as a partisan, although he is a very different kind of partisan from the ones seen in previous Italian films. In the opening scene, he is sent by his peers to a small village in the North to ask the locals for provisions. Silvio arrives at the local hotel, but Elena (Lea Massari), the woman who runs it, refuses to help him because she has heard that the partisans are renowned for stealing salamis and other produce from the locals. This statement gives us an indication that the representation of the Resistance in this film is going to be different from the interpretation that Rome Open City offered. Silvio is discovered inside the hotel by a Nazi soldier and taken to the garden, where he is going to be executed. Lined up against a wall, however, he waits for a shot that never comes. As he turns around he finds out that Elena has killed the Nazi soldier using a flatiron. This scene again indicates an awareness of neorealism, as it refers to Rome Open City, specifically to the scene in which Don Pietro (Aldo Fabrizi) knocks an old man unconscious with a frying pan. The intentionality in Risi’s reference is confirmed by the fact that in both scenes the camera does not record the blow, but the spectator learns about it by the comment of a witnessing character. In Rome Open City, it is the altar boy who says to Don Pietro: “Jeez, Don Piè what a frying pan hit!”, whereas in A Difficult Life it is Silvio who addresses Elena: “You killed him? Just like this, with the iron?”. This frame-by-frame mirroring of Rossellini’s film poses the neorealist films’ recounting of the Resistance as the model that Risi is going to exploit, seemingly for the purpose of parodying them and the clichés they established with their selective representation of historical events. Risi’s film reinforces its unusual representation of the Resistance as Silvio is taken by Elena to an old mill to rest and promises he will leave the following morning to join a nearby band of partisans. However, once he is comfortably lying on the mill’s bed, the camera pans from his head to look above to a number of salamis hanging from the roof, confirming the suspicions about the partisans raised earlier in the film. In fact, Silvio spends the rest of the Resistance comfortably in hiding, almost as if the filmmakers wished to put on screen those aspects of the Resistance that neorealismexcluded. This, we may think, confirms the cynical outlook that the comedy “Italian style” was criticised for, as well as the distance between this genre and neorealist engagement. It appears to establish A Difficult Life as a parody of neorealism. However, crucially, despite the comedic signification required for entertainment purposes, reflecting the dual attitude towards clichés and stereotypes, the character of Silvio perceives his experience as a partisan as a heroic, mythical one. In other words, he is living the fantasy of being in Rome Open City’s Resistance. As the film’s narrative progresses, alongside the most defining episodes of the first few years of the post-war period, such as the liberation of Rome, the 1946 referendum on whether the country would be a monarchy or a republic, the attempted assassination of Communist leader Palmiro Togliatti and the first democratic elections in 1948, Silvio’s distorted and self-informed perception of his active role in the Resistance leads him to political activism and an exceptional moral integrity back in Rome, where he moves with Elena after the war. The portion of the narrative set during the Economic Miracle is mainly concerned with Silvio’s struggle to provide Elena with the commodities of consumerist society by which she is tempted. It should be pointed out that Elena’s growing interest in Rome as a glamorous alternative to her rural life in the Northern village, manifested in conversations with Silvio inside the mill earlier in the narrative, had already exposed her character as a subversion of the selfless and practical ideal of working-class femininity established by Anna Magnani in neorealistfilms such as Rome Open City and Angelina. In 1948, Silvio, now a journalist in Rome, refuses a bribe from a businessman and publishes an exposé, for which he suffers the consequences from the day after the general election, which is won by the Christian Democrats. After Elena leaves him, we are led to believe that A Difficult Life will align itself with other comedies such as Il boom (Vittorio De Sica, 1963) and It’s a Hard Life, in which the protagonists bend to the pressing demands of consumerist society and are ultimately corrupted by its cynicism. By 1961, Silvio is working for the corrupt businessman and re-conquers his wife with a dramatic return to the village where he once sought cover. This time, however, he is not a partisan in rags but a businessman driving a luxurious car and, to make the revenge complete, he arrives during the funeral procession for his mother-in-law. In the last scene of the film, Silvio and Elena are invited to a party at the businessman’s villa. Here, Silvio is publicly humiliated by his boss and sprayed with champagne in front of his wife. The two exchange a knowing glance and, in a memorable scene, Silvio slaps his boss so violently that the latter falls into a pool. Elena and Silvio walk away together and refuse to ride in a limousine, thus metaphorically rejecting the status symbol of the Economic Miracle. This, again, is an atypical ending for this genre as most comedies set solely during the Economic Miracle, without revisiting the past, do not feature redemptions resembling Silvio’s. Instead of ending with the corruption of the protagonist, here something akin to an Economic-Miracle equivalent of the “open” ending of Bicycle Thieves occurs (Image 1): Elena and Silvio’s family unit is restored, as was the father and son unit in De Sica’s film, but the socio-economic premise of the film is left, in realist fashion, unresolved. The spectator is left wondering how Silvio will provide for his wife the next day and whether it is possible to survive with moral principles intact in the Italy of 1961 (Image 2), in the same way as he or she wondered would Antonio Ricci be able to feed his family without a bicycle in 1948. Again, the uniqueness of Silvio’s redemptive narrative trajectory is very much linked with the fact that, in his perception, he is still the partisan of 1944, a character that, ironically, perhaps he never really was. Image 1: Antonio Ricci (Lamberto Maggiorani) and his son Bruno (Enzo Staiola) walk away from the Stadio Flaminio. Image 2: Silvio Magnozzi (Alberto Sordi) and his wife Elena (Lea Massari) walk away from an Economic Miracle dinner party. The uniqueness of this ending is linked to the uniqueness of the character. The reference to Rome Open City and its narrative bridge the two historical milieus, one typical of neorealism (the Resistance) and one typical of the comedy “Italian style” (the Economic Miracle), A Difficult Life works like a theorem posed by the genre against the accusation of“dilution”. In other words, the film is exceptional in the spectrum of the comedy “Italian style” for championing a positive protagonist, even more so because he is played by Alberto Sordi, the star who changed the Italian comedic landscape by introducing a new type of cowardly and cynical middle-class male character inextricably linked to the Economic Miracle. Its knowing reference to Rome Open City and its adoption of a peculiar solution in its ending, which, mirroring Landy’s notion, shatters the clichés of the comedies set in the present by its use of the clichés associated with neorealism’s depiction of the Resistance, contribute to the idea that the text’s difference from many of the comedies produced at the time is the result of its self-conscious addressing of the neorealist tradition. The use of the reference in A Difficult Life to the Resistance in order to denounce how Italians ostensibly changed for the worse and left the promises of neorealism unfulfilled is confirmed by two episodes in Risi’s 1963 film Opiate ‘67 (I mostri, also known as, in a cut version, 15 from Rome), which refer to neorealism by other means and show the 1960s Italians’ detachment from it and its ideals. In the episode What a Hard Life! (Che vitaccia!) Vittorio Gassman plays an unemployed man who lives in a rotting shed at the outskirts of Rome. The contrast between the skyscrapers in the background and the ragged state of his home is exemplary of the distance between the Miracle setting of most Comedies “Italian style”and the one associated with post-war neorealist films. Within the man’s home, a doctor is visiting one of his many children who has fallen ill. The man despairs, complaining that because of the medical bills he will not be able “to go... there”, leaving his destination unspecified. At his wife’s insistence, he does go “there”, although he claims that he will not be able to enjoy the experience. The film cuts to the man cheering for the A.S. Roma football team playing in the Stadio Olimpico, showing no restraint in celebrating a goal. The filmmaker shows us that, even for the poor, the commodities celebrated by the Economic Miracle seem to have become more important than essential goods. 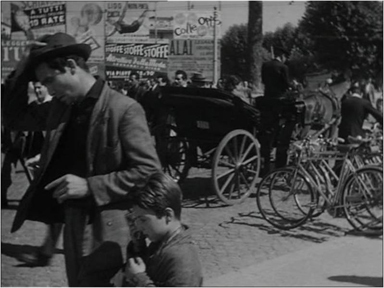 While Gassman might tend to over-act in What a Hard Life!, it is possible that Risi is in fact parodying neorealism and, indeed, the episode Fall Oblivion (Scenda l’Oblio)confirms that the objective is to show how Italian cinema’s primary subject matter—Italians—has changed for the worse. In this episode, Ugo Tognazzi plays a spectator in a movie theatre watching a film on screen. A number of elements of the film-within-the-film, with which we are presented, suggest that he is watching a neorealist film: partisans are being executed, characters speak in dialect, the footage has been shot outdoors and the soundtrack is reminiscent of those composed by Renzo Rossellini for the neorealist efforts of his brother Roberto. At the end of the scene, when audio cues indicate that the partisans have been shot on the movie theatre screen, the spectator played by Tognazzi points at the diegetic wall against which the partisans were lined and says: “There, I would make the wall of our villa just like that! Simple, with just tiles on the top!”. The fact that the filmmaker refers to this character’s attitude towards neorealismas “oblivion” in their title is a clear indication that they are not articulating a disrespect or betrayalof neorealism, but rather exploiting the clichés associated with its representation for the sake of denouncing such a betrayal on the part of the public. In light of these two explicit references in Opiate ‘67, it is clear that Risi’s revisiting of the past in A Difficult Life served to articulate the genre’s continuity with neorealism, an act of validation of the genre’s satirical practice. The thesis put forward in the previous section is confirmed by Ettore Scola’s We All Loved Each Other So Much, which, in common with A Difficult Life bridges the narrative of the Resistance years and the depiction of Italy during the Economic Miracle. This film was produced towards the end of the genre’s lifespan, which is usually dated around 1977; thus, its revisiting of Italy’s past is much more stratified and arguably more sophisticated than in Risi’s early attempt. Also, its tribute to neorealism, in this case to Vittorio De Sica especially, who appeared in a cameo shortly before dying and to whom the film is dedicated, is much more overt than that of Risi’s film. The plot of Scola’s film follows the parallel lives of three friends who fought together among the partisans, but who took different paths since then. 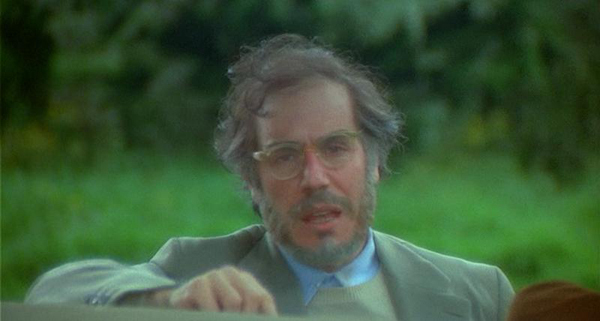 Antonio (Nino Manfredi) is a hospital orderly who is constantly being demoted because of his Leftist beliefs. Gianni (Vittorio Gassman) is an idealistic lawyer who ultimately ends up working for a corrupt industrialist, played by Aldo Fabrizi. Nicola (Stefano Satta Flores) is an intellectual, who has left his home village because of his devotion to neorealism, De Sica and Bicycle Thieves, in particular, and who works in Rome writing film reviews as a substitute (vice) reviewer. This element suggests that he is a reviewer of Comedies “Italian style”, since these filmswere often not considered worthy of the head critic’s attention. In fact, learning about Nicola’s new job, Antonio comments, “Ah, you are the one who signs his work as vice? Then you must work a lot!”. 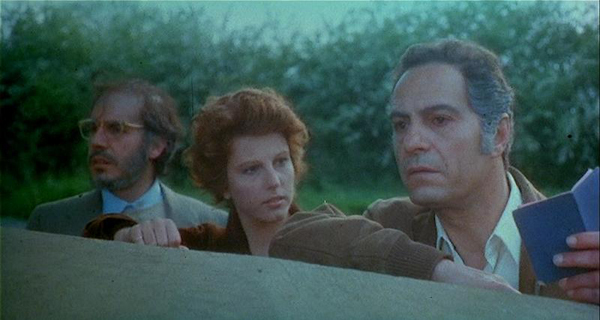 The film shows a series of accidental encounters between the three friends during the years of the Economic Miracle, each one of them courting Luciana (Stefania Sandrelli) at different stages of the plot, and refers to a present in which they are divided by class, by love interest and, in some cases, by shame in relation to their shared past during the Resistance. The impression that the filmmaker is using the character of Nicola to put on screen his own detractors and to clarify where he stands in relation to neorealism is reinforced as the film progresses. At one point, Nicola is shown to be over-intellectualising Bicycle Thieves in a television quiz-show;his strong sense of superiority is demonstrated when he replies to Antonio’s accusation of having abandoned his wife and son in his hometown with the answer: “L’intellettuale è più oltre!” which could be translated as: “the intellectual is over and above”. Also, Nicola attends a rally at which De Sica himself is present and hesitates to approach the director because if he did he would have to bring up “illusions, hope, disappointments”. The disappointments mentioned here are a reference to the fact that De Sica went from directing neorealist films in the post-war period to acting in and directing Comedies “Italian style”in the 1960s. In Scola’s film, references to cinematic practices that succeeded each other from the establishment of neorealismin the post-war period to the present day abound: Fellini and Marcello Mastroianni play themselves in the process of shooting La dolce vita (1960) and Michelangelo Antonioni is referred to by Gianni’s wife, Elide (Giovanna Ralli), who suffers from “alienation”. In light of these references and knowing Scola’s own comedic practice, we are encouraged to question where Scola positions the comedy “Italian style” within this broader spectrum. Visual references to the genre are absent and this is simply because the discourse concerning the validity of the comedy is carried out by the dynamics between the characters of the three friends who embody different aspects of its production and reception. The characterisation of Nicola as a hostile critic of the genre and someone who never accepted the passage from neorealism to the comedy “Italian style”suggests that the other characters also have a reflexive value. Antonio is depicted as uncultured, ignorant, and a simple man who only understands the face value and the direct implications of entertainment products. This is demonstrated when he attends a performance of Eugene O’Neill’s play Strange Interlude (1928) and fails to understand the established convention that, if a character performs a soliloquy, the other characters onstage have not heard him. Thus, Antonio should be read as emblematic of the popular audience of the comedy “Italian style”, who often ignore the cultural implications hidden behind certain spectacles, and simply evaluate the immediate aspects of the events reproduced on stage or screen. For him, there is only good/bad, funny/serious, entertaining/boring. Gassman’s Gianni typifies the protagonists of most of the comedies with a contemporary setting: the Economic-Miracle Italian who has renounced his ideals to join consumerist society. This reading of a meta-characterisation of the three friends, functioning as a self-reflexive discourse, is not simply a speculation based on their parallels with A Difficult Life’s Silvio Magnozzi, but actually something that Scola reveals to the audience from the very first scene. The film opens in present day, with Nicola, Antonio and Luciana getting out of their car and approaching the villa where Gianni lives. We will learn later that they go there because Gianni left his driving licence with Antonio after meeting him by chance and spending a night with his old friends, during which he pretends to be poor like them. For this reason, they expect him to be employed as a servant in the villa, which is given as his address on the licence. The footage of the three getting closer to the villa is intercut with images of Gianni walking out in the garden, taking off a robe and preparing to dive into a swimming pool. As he finally dives, the image freezes with him suspended mid-air, and the series of flashbacks that constitute the main body of the film begins. Thus, through an editing device, the image is revealed to be the result of a mechanical process of reproduction, the cinema. The specific subject matter of this peculiar frozen image is Gianni, who thus becomes “The Subject Matter” in a broader sense (Image 3). Antonio is shown to be watching Gianni’s dive from behind the fence of the villa and is thus characterised as “The Spectator” (Image 4). Nicola is also initially shown to be watching Gianni. As the film freezes, however, the image cuts to a close-up of Nicola, who is the only character whose movement is not frozen and who delivers the warning: “Spoiler alert! Gianni will complete his dive only when the film is over…”. He is thus characterised as someone who dissects, analyses and interprets the film for the benefit of the public, “The Critic” or, as we later learn, the critic of neorealism’s transition into the comedy “Italian style”as embodied by De Sica (Image 5). Luciana, instead, is shown to be restlessly turning her head around right before the image freezes, looking at Antonio, then Gianni and then Nicola in the hope of an explanation. Her positioning in relation to “The Film”, and thus in relation to the comedy “Italian style”genre, is unspecified and her constant shifting from one friend to the next is suggested. As an aspiring actress who daydreams of the dolce vita she sees on the cinema screens and is ultimately confronted with the hardships of real life, the character of Luciana has been identified by Peter Bondanella as an embodiment of Italy, of the nation of the Economic Miracle as a whole: “the woman they love symbolises Italy herself” (208). 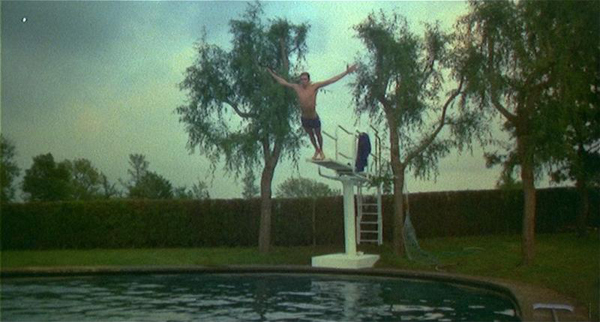 Image 3: Gianni (Vittorio Gassman) dives into the pool of his villa in a freeze-frame. Image 4: Antonio (Nino Manfedi) observes Gianni’s dive, also in a freeze-frame. Image 5: Nicola (Stefano Satta Flores) is allowed to comment on Gianni’s dive and deliver his “spoiler-alert”. The conclusion of the three protagonists’ narrative trajectories, revealing that Antonio has won the affections of Luciana, that he has conquered “Italy” in a broader sense, and that he is the only one left at the forefront of the battle against social injustices (he pickets, for instance, at a school so that his children will receive equal education), expresses Scola’s faith in the validity of the genre’s socio-political engagement and its relationship to the neorealist model. The tagline of the film is “we wanted to change the world, but the world has changed us instead!”, a phrase that Nicola repeats as he watches De Sica speaking from a podium. This is undeniably true of himself, since Nicola is patently stuck in the past and has not been able to cope with Italy’s change. He has blamed this on neorealism’s change and the same conclusion could be drawn in respect of Gianni, who has forgotten the past and has adjusted to Italy’s change too easily, thus reminding us that, if most Comedies “Italian style”give the impression of being “easy” rather than engaged, it is because they depict realistically a similar transition undergone by many Italians of the era. It is not, however, true of Antonio, the spectator of the comedy “Italian style”, who in his hopeful conquering of “Italy” represents an exception on a par with Sordi’s Silvio Magnozzi in A Difficult Life, an Economic-Miracle Italian who has not betrayed the ideals of neorealismand the Resistance and who, furthermore, has avoided doing so exactly because of his affinity with the comedy. The filmmakers’ presentation of the comedy “Italian style” as a positive model for reclaiming Italian society from consumerist excess reaffirms that the ultimate goal of the excursions into Italy’s recent history was to reclaim the validity of the genre. Furthermore, it provides a reassessment of the passage from neorealism to the comedy “Italian style”, viewing the latter not as a dilution of neorealism’s engagement, but rather as a popularisation of it, a continuation of the practice in the popular arena, to save it from both over-intellectualisation and oblivion. Films such as A Difficult Life and We All Loved Each Other So Much mirror the “openness” of neorealism in their treatment of Italian history, which becomes the site of the characters’ wandering, in the same way as screening the ruins of the country in the post-war period reflected in spatial terms the “openness” of neorealist narratives. Similar to the neorealist characters, the protagonists of these comedies are at the same time privileged spectators of history and unable to determine their fates. In her accomplished analysis of We All Loved Each Other So Much, Millicent Marcus discusses at length Scola’s tribute to neorealism, but is less specific in reading the film as a validation of the comedy “Italian style” genre itself, which in her view featured only “a partial return to its neorealist source”, and only in the 1970s (392). In this article, on the contrary, I have argued that the comedy filmmakers operated in a spirit of consistent—not partial—continuity with neorealismfrom as early as 1961. As I have shown, the tendency to produce comedies that revisited the past and, especially, the uniqueness of the narrative solutions adopted in those comedies that bridged that past with what was the present of the Economic Miracle, acted as the filmmakers’ ultimate statement of the validity of their practice, their response to the poor critical reception of their films and their on-screen assertion of being worthy heirs to the critically revered neorealism. 1. All translations are by the Author. 2. A more comprehensive list of neorealist filmmakers who were involved in the comedy “Italian style” genre comprises Vittorio De Sica, Cesare Zavattini, Pietro Germi, Carlo Lizzani, Alberto Lattuada, Luigi Zampa and Rossellini’s former screenwriter, Sergio Amidei. 3. In reference to Rome Open City, for instance, Sidney Gottlieb asserts that the film entails “a cinematic style ‘open’ to basic human needs and able to capture without distortion the often messy and unpredictable reality that rarely figured in conventional films” (6). This element of “openness” is crucial to the entire neorealist canon, and manifests itself in narrative (the premises of the plots are often not resolved or finalised), space (the neorealist protagonist often wanders through ruined landscapes without the sense of goal or direction proper to conventional cinema), time (which is not always organised by the conventional strategies of narrative cinema), and even ideology (as the filmmakers, at least in the films set in the early post-war period, avoid projecting a rhetoric that implies a possible solution to the problems presented on screen by virtue of the adoption of a certain social conduct). 4. The expression “Economic Miracle” describes a period of sustained economic growth in post-war Italy, which peaked in the years between 1958 and 1963. 5. Bondanella posits that the characters of the three friends embody “three separate social classes (middle class, intelligentsia, proletariat)” (208). My meta-cinematic reading of the characters does not contradict Bondanella’s class reading, but expands it at a different level. A Difficult Life [Una vita difficile]. Dir. Dino Risi. FilmAuro, 1961. DVD. Bazin, André. What is Cinema? Vol. II. Essays Selected and Translated by Hugh Gray. Berkeley: University of California Press, 1972. Print. Before the Postman [Avanti c'è posto]. Dir. Mario Bonnard. Terminal Video, 1942. DVD. Bicycle Thieves [Ladri di biciclette]. Dir. Vittorio De Sica. Arrow Films, 1948. DVD. Big Deal on Madonna Street [I soliti ignoti]. Dir. Mario Monicelli. Cecchi Gori Home Video, 1958. DVD. Bondanella, Peter. “The Making of Roma città aperta: The Legacy of Fascism and the Birth of Neorealism”. Roberto Rossellini’s Rome Open City. Ed. Sidney Gottlieb. Cambridge: Cambridge University Press, 2004. 43-66. Print. ---. A History of Italian Cinema. London: Continuum, 2009. Print. Bruni, David. Roberto Rossellini. Roma città aperta. Turin: Lindau, 2007. Print. Celli, Carlo. “The Legacy of Mario Camerini in Vittorio De Sica’s The Bicycle Thieves”. Cinema Journal. 40:4. (2001): 3-17. University of Texas Press. Comand, Mariapia. Commedia all’italiana. Milan: Il Castoro, 2010. Print. Everybody Go Home [Tutti a casa]. Dir. Luigi Comencini. FilmAuro, 1960. DVD. Ferrero, Adelio. “Schede: La vita agra”. Cinema Nuovo. 169. (1964). Bari: Edizioni Dedalo. Print. Forgacs, David. “Space, Rhetoric and the Divided City in Roma città aperta”. Roberto Rossellini’s Rome Open City. Ed. Sidney Gottlieb. Cambridge: Cambridge University Press, 2004. 106-130. Print. Giacovelli, Enrico. La commedia all’italiana. Rome: Gremese, 1995. Print. ---. Un italiano a Roma: La vita, i successi, le passioni di Alberto Sordi. Turin: Lindau, 2003. Print. Gottlieb, Sidney. “Rossellini, Open City and Neorealism”. Roberto Rossellini’s Rome Open City. Ed. Sidney Gottlieb. Cambridge: Cambridge University Press, 2004. 31-42. Print. I'll Give a Million [Darò un milione]. Dir. Mario Camerini. Terminal Video, 1937. DVD. Il boom. Dir. Vittorio De Sica. FilmAuro, 1963. DVD. It’s a Hard Life [La vita agra]. Dir. Carlo Lizzani. Terminal Video, 1964. DVD. Landy, Marcia. “Diverting Clichés: Femininity, Masculinity, Melodrama and Neorealism in Open City”. Roberto Rossellini’s Rome Open City. Ed. Sidney Gottlieb. Cambridge: Cambridge University Press, 2004. 67-84. Print. Marcus, Millicent. Italian Film in the Light of Neorealism. Princeton: Princeton University Press, 1986. Print. Micciché, Lino. “Mario Monicelli: La commedia e oltre”. Lo sguardo eclettico. Il cinema di Mario Monicelli. Ed. Leonardo De Franceschi. Venice: Marsilio, 2001. ix-xxi. Print. ---. Visconti e il neorealismo: Ossessione, La terra trema, Bellissima. Venice: Marsilio, 2006. Print. Miracle in Milan [Miracolo a Milano]. Dir. Vittorio De Sica. Arrow Films, 1951. DVD. Opiate ‘67 [I mostri]. Dir. Dino Risi. Cecchi Gori Home Video, 1963. DVD. Paisan [Paisà]. Dir. Roberto Rossellini. Conoisseur, 1946. VHS. Petronius. The Satyricon. Trans. P. G. Walsh. Oxford: Oxford University Press, 2009. Restivo, Angelo. The Cinema of Economic Miracles: Visuality and Modernization in the Italian Art Film. London: Duke University Press, 2002. Print. Rome Open City [Roma città aperta]. Dir. Roberto Rossellini. Arrow Films, 1945. DVD. Senso. Dir. Luchino Visconti. Terminal Video, 1948. DVD. The Great War [La grande guerra]. Dir. Mario Monicelli. FilmAuro, 1959. DVD. The Last Wagon [L'ultima carrozzella]. Dir. Mario Mattoli. Terminal Video, 1943. DVD. The Peddler and the Lady [Campo De’ Fiori]. Dir. Mario Bonnard. Terminal Video, 1943. DVD. The Sweet Life [La dolce vita]. Dir. Federico Fellini. Medusa Home Entertainment, 1960. DVD. The Terrace [La terrazza]. Dir. Ettore Scola. Rai Cinema – 01 Distribution, 1980. DVD. The Visitor [La visita]. Dir. Antonio Pietrangeli. Minerva Video, 1963, DVD. The Widower [Il vedovo]. Dir. Dino Risi. Medusa Home Entertainment, 1959. DVD. Tomasulo, Frank P. “Bicycle Thieves: a Re-Reading”. Cinema Journal. 21:2. (1982): 2-13. University of Texas Press. We All Loved Each Other So Much [C’eravamo tanto amati]. Dir. Ettore Scola. Cecchi Gori Home Video, 1974. DVD. What Scoundrels Men Are! [Gli uomini che mascalzoni!]. Dir. Mario Camerini. Terminal Video, 1932. DVD. Boitani, Giacomo. “Revisiting the Past as a Means of Validation: Bridging the Myth of the Resistance and the Satire of the Economic Miracle in Two Comedies 'Italian style'”. Alphaville: Journal of Film and Screen Media 2 (Winter 2011). Web. ISSN: 2009-4078. Giacomo Boitani is a PhD student at the National University of Ireland, Galway, close to completion of a doctoral dissertation entitled “Commedia all’italiana: an evolution of Italian neorealismo”, supervised by the Huston School of Film and Digital Media and the Italian Department. He graduated with a BA in Film Studies from the Università degli Studi Roma Tre in Rome, Italy in 2005 and has been awarded a Masters in Screenwriting from the Huston School of Film and Digital Media, National University of Ireland, Galway.